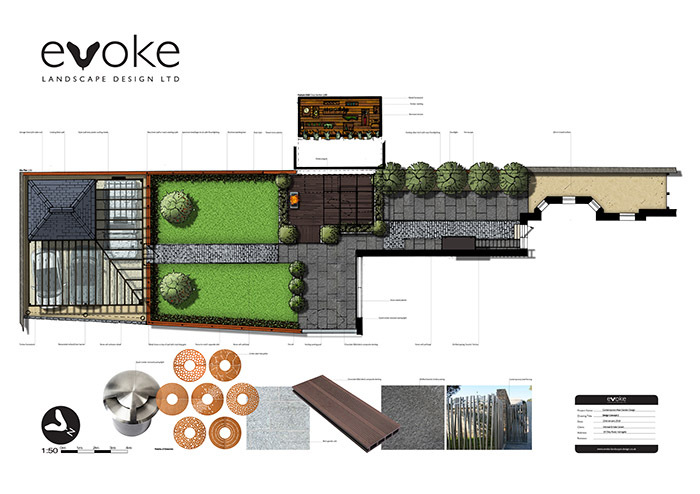 A traditional urban garden in Harrogate with a muted and tasteful palette of contemporary materials. The garden comprised of stone sett paths leading to a porcelain patio and composite decked area flanked by new walls built from reclaimed brick. A new timber workshop/shed was constructed utilising a thermowood cladding system and natural slate roof. An adjoining car port constructed from aluminium provided a covered area to the rear of the garden. Bespoke metal pergola and railings complimented the vernacular of the area.